Ativan is a prescription medication available by oral tablet, oral solution and injection. It is a controlled substance that must be taken only as prescribed. The drug is available by brand name or as the generic drug lorazepam. Ativan is indicated for short-term anxiety, long-term anxiety disorders, acute seizure and is frequently given prior to surgery for relaxation and to reduce recall. A physician may order the medication for other purposes. According to 2005 Lippincott's Nursing Drug Guide, common oral dosages range from 2mg to 6mg per day. 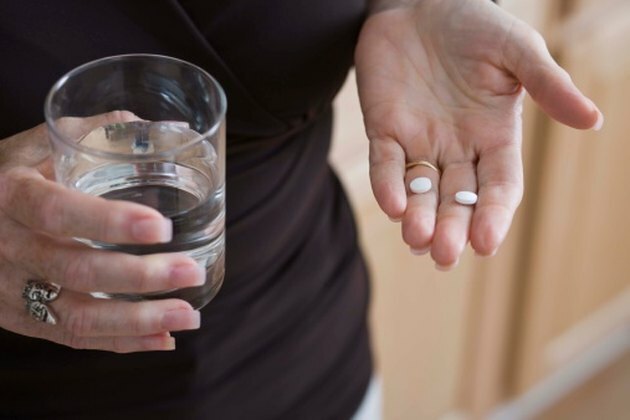 Common neurological side effects of Ativan include sedation, loss of reality, light-headedness, tiredness, a lack of concern, depression, anger, hostility, headache, confusion and restlessness. Excitement and drowsiness are common side effects during the initial phase of treatment. Less common side effects include crying, excitability, seizures, weakness, unsteadiness, lack of emotion, slurred speech, hallucination, reduced consciousness, rigid muscles, loss of coordination, difficulty concentrating, vivid dreams, slowed response, difficulty speaking, tremor, memory loss, euphoria, involuntary muscle contractions, numb or tingling skin, a sensation that one is about to fall, mania, difficulty controlling eye movements, double vision, other visual disturbances, difficulty hearing, other hearing disturbances and extrapyramidal system symptoms, which are manifested by difficulties with muscular movement or involuntary muscular movement. Cardiovascular side effects are uncommon and include high blood pressure, low blood pressure, slow heart rate, fast heart rate, the sensation of the heart pounding in the chest, easy bruising, easy bleeding, swelling of the feet or legs and cardiovascular collapse, which involves the loss of blood flow to the body and can be life-threatening. Blood-related side effects are uncommon and include low white blood cell level, low granulocyte (a type of white blood cell) level and elevations of various blood enzymes. Common gastrointestinal side effects of lorazepam include dry mouth and nausea. Less common side effects include increased salivation, difficulty swallowing, loss of appetite, heartburn, stomach disorder, vomiting, constipation, diarrhea and liver problems. Urinary and reproductive side effects are uncommon and include dark urine, retaining urine, incontinence, changes in sexual interest and changes in the menstrual period. Skin-related side effects are uncommon and include increased sweating, rash, yellowed skin, hair loss, skin inflammation, itching and hives. According to Drugs.com, when the drug is injected into the body, pain and burning at the site are common side effects, while redness occurs less frequently. Other side effects are uncommon and include decreased rate and quality of breathing, respiratory failure, periods of stopped breathing, infection, fever, low temperature, stuffy nose, hiccups, muscle problems and enlarged breasts in males. Drug dependence is a frequent side effect, and withdrawal syndrome can occur if the drug is abruptly stopped. An allergic reaction may also occur when taking this product, with effects of difficulty breathing, dizziness, rash, itching and swelling.